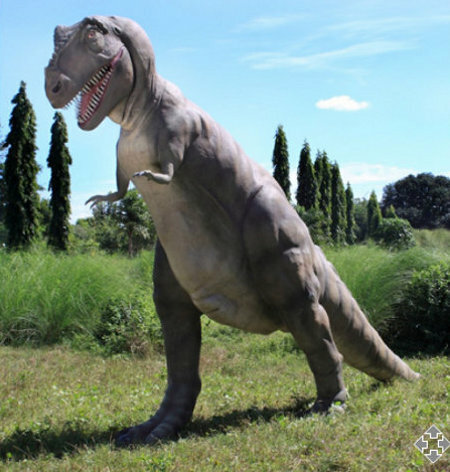 Giant T-Rex Garden Sculpture Is All Wrong | OhGizmo! You've just been crowned King of all Nerdy Geeks for the week of 02/22/10. Now come up out of your mother's basement and accept this prestigious award. That would be the biggest take down I've read in a while. All aside, who in their right mind would want that in their yard? Much less spend that much.